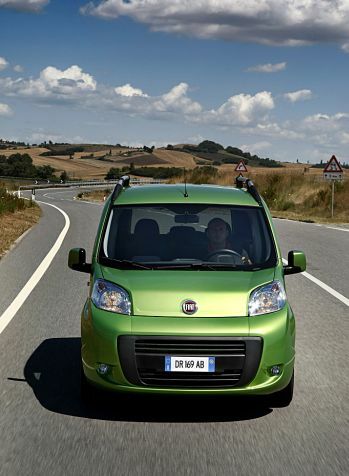 The launching of the Fiorino Qubo is backed by an innovative and amusing advertising campaign. First of all, the commercial is based on an age-old dilemma: is it better to be or to appear, to show or to possess. The parade of different characters, each one contrasting with the next in physical and personality traits, is punctuated with reflective phrases, urging the viewer to ask the final question: “So, do you prefer to be or to appear?" The answer is: “I prefer to appear… Appear as I am!”. This play on words is as unexpected as it is true, just as it is for the new Fiorino Qubo: a practical, no frills car, for people who are not interested in appearing to be something they aren't, but instead prefer to satisfy their needs in the best way possible. As the slogan says: "for people who love Simple Status”. Since July 1, it has been possible to browse the FIAT free space at www.fiorinoqubo.com (for Italy, www.fiorinoqubo.it). Then, from September 15, Fiorino Qubo will embark on an original voyage into the reaches of the online community with the "Boost your network" initiative: a contest that will directly involve the most active users of the social network of each European country. Internet users will be able to participate in the Fiorino Qubo communications by reinforcing their network of relations thanks to a communications campaign and a site that strongly encourages user interaction.